This is a list of new lifts likely to be built in North America in the 2018 construction season. Last updated 12/3/2018. Two of the Ascutney CTECs may be going in this summer at Pats Peak, NH and Liberty Mountain, PA. The other went to Crotched Mountain and the fourth is still MIA. I heard that one of Pat’s Peak’s CTECs might go there, but it is unconfirmed. Did the Mary Jane expansion at Snowbird get postponed? It’s called Mary Ellen. Snowbird has made no announcements so I took it off the list for now. I could see a Mineral six-pack going in 2018 with the Mary Ellen gondola and chairlift following another year. We’ll have to wait and see. I heard that Loveland Ski Area is looking to replace Lift 1 soon with a triple or a High speed quad by Leitner Poma. Why would Crystal Mountain (WA) replace Discovery and Gold Hills. Gold Hills is barely used, and Discovery works fine as a beginner lift… I get that they’re old, but shouldn’t they focus on projects that actually help lift capacity? Crystal Mountain doesn’t really have a capacity problem (at least a lift capacity one.) Both of these lifts start in strange spots so that may be part of it. Gold Hills, Discovery and Quicksilver are also going to be used for night skiing again starting this season. The master plan calls for a detachable Discovery but my guess would be two Skytrac quads in new alignments. Ah, that would make more sense. I would say the only lifts that have bad lines during peak periods are Forest Queen & Green Valley, but one’s already a six-pack and the other is relatively new (compared to Rainier and others). I can understand that they would want better lifts for night skiing (Discovery is quite slow at least when I see it from the base…), but it seems almost easier just to install lights on Chinook and maybe Forest Queen. I do agree that they don’t really have too much of a lift capacity problem (at least compared to the wreck that is Stevens lines), and I’d say their only capacity issues are Food (lodges are always packed, especially Campbell), though that could be fixed with the conversion of Summit House into a lodge (not really much space up there though…). I’m probably not an expert on what they need, and it does kind of make sense to fix the old lifts down low, though I’d like to see them focus on things like more Gondola Cabins, planning for an inevitable Rainier replacement, getting Kelly’s Gap or some sort of parking lift sped up, and of course expanded Snowmaking and possible expansion of Night Skiing to Chinook and Forest Queen. Do you know the timeline on some of those? Is Whistler Blackcomb going for a D-Line or just a regular 10 MGD? Doppelmayr but not D Line. Did the Stagecoach resort near steamboat get canceled? I thought Doppelmayr was doing a FG and HSQ there next summer. I haven’t seen any updates recently so removed it from the 2018 list for now. Stagecoach looked like a a green light to get up and running from the ski town graveyard a couple years ago. industry veterans were behind it. Bodie Miller was mentioned as being involved. All the land is private so no forest service red tape to hold them back. It all seemed to revolve around settling on the price with the family that owned it. That area gets good snow and faces northeast. It will be roughly the same vertical as Vail’s Eagle-Bahn Gondola, 2200ft. It is supposed to have more ski in ski out property than any place going now by miles. It could be a great little four season resort with the Lake and descent mountain biking terrain. I am trying to dig into what’s going on up there. So, are we looking at 2019, or later? I took these projects off the list for now while we wait and see what Crystal does. By all accounts, they are having a fantastic season and a new lift or two would be awesome. Will Lovelands Lift 1’s chairs be sold to the public? Depends on whether it’s being scrapped or relocated. There have been many Yan triples that were relocated, but 1981 might be a bit too old. I saw on Lifties of the World Unite that South Ridge will be Leitner Poma. That might be sourced from New England Ski Industry, which I would take with a grain of salt. There are arguments to be made for L-P, Skytrac or Dopp on this one. Killington just announced that their new South Ridge lift is to be a high speed bubble six place as well as major improvements to the gondola. The gondola will receive new Leitner-Poma cabins, no details on the six place’s manufacturer. Tahoe Donner is replacing a SLI with a Skytrac. Thanks Kirk, must be Snowbird. Do you know if it will be a double, triple or quad? Big Sky going all in with their 2025 plans. The old Ramcharger is also going to be used to replace Shedhorn! Got a text from Peter about it before this actually came out. Not wanting to scoop him on his own site I didn’t comment on here about it. I think I’ll have to do an Ikon Pass trip there next season to ride it. Looks so luxurious. And the Shedhorn replacement just made a bunch of expert terrain much faster to lap. I thought it was unclear what manufacturer the new American Eagle/Flyer lifts were going to be. When did we find out it was Leitner-Poma? Any idea if the Stagecoach redevelopment will continue as planned or has that dried up? Radio silence and the website has been mostly taken down. Not a good sign. Silence from Valemount too. I’d say more than possible. Just wondering where you got the info for Skytrac being the manufacturer of the new Mt. Spokane triple? I have also heard talk among patrol up there of it having a conveyor belt loading system, but that of course is just talk. Lots of Skytrac lifts, probably the majority of them have loading carpets. Their chair design is difficult for the operator to swing properly. The wild cards on here still are Arizona Snowbowl, Bretton Woods, Bromont, Hunter, Purgatory and Woodward Park City. Sun Peaks and Telluride have also expressed interest in building new lift(s) this year. Stay tuned and chime in if you know anything! Beech Mountain will be replacing their HSQ with a fixed grip quad? Seems like an odd move by them. I wonder why beech would replace their detachable quad with a fixed grip quad? This sounds very similar to when Sugarbush replaced the Green Mountain Express with a shorter fixed grip quad. Of course, it was eventually replaced with a detachable. Far cheaper to maintain, and for a lift of this length, fixed grip’s not a bad choice. Not to mention, the Dopp detachable was getting quite old, and as it ages its maintenance becomes far more arduous and expensive. Smart choice! Doesn’t look like capacity would be hurt by the replacement – just ride time. Horseshoe Resort north of Toronto in Ontario has retired the old Chair #6, and will be dismantled this summer. The replacement is scheduled to be a quad, with a decision to be made on either a fixed-grip or detachable most likely from Leitner-Poma. LED lighting is also scheduled to be installed this summer in the south runs making the resort 100% lit at night. Darn! I was hoping to film chair 6 this winter. Oh well. I hope the new chair 6 is as nice as the old one. It’s almost certainly going to be a fixed grip. Horseshoe runs a very short detachable six place, from which you’re able to access all the same runs as Chair #6. I found that there was no difference between when Chair 6 ran, and when it didn’t, only that it was a longer trip back to the detachable from the bottom. Chair 6 has a short lift line (shorter than the detachable six place), and realistically only serves as access to one trail. It would be rather stupid to install a detachable quad, but perhaps it would be good publicitly granted Horseshoe’s competing with detachable giants such as Blue or Moonstone, each operating 4+ detachables. Chair 6 services 9 or so exclusive runs at the southside of the resort- no other lift is available for these runs. I think you are mixing up the old Chair 4 triple that met at the same peak as the new main 6-person chair, which in turn replaced the old Dopp quad detachable in 2016. Lost Valley, ME has Sunday River’s old Spruce Peak Triple (1986 Borvig) on site. 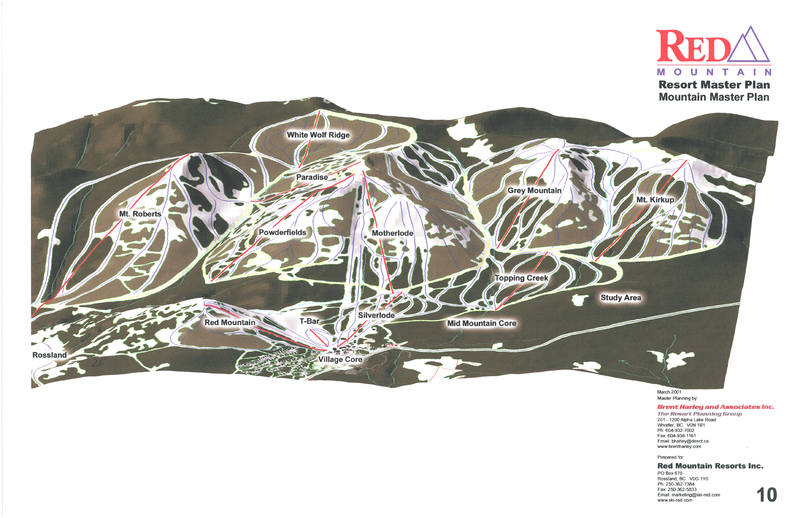 This year’s trail map shows a “Proposed Lift Chair #3” following a similar alignment to that of their old T-Bar. I’m not holding my breath, but this could be a (very small) installation to watch for in the next few years. Apparently some (NewEnglandSkiIndustry) even speculated that this lift could be installed as soon as this year, but I haven’t heard anything about it yet. The proposed lift would be ~875 feet long with ~235 vertical feet. I see three bullwheels. My guess is they took the return bullwheel off the Locke Mountain Triple that was replaced by the Doppelmayr one, but still gave Lost Valley the damaged one from Spruce. The extra bullwheel couldn’t have come from South Ridge because that lift was removed back when I think all of Sunday River’s Borvigs were still brown. The extra bullwheel (I believe the one in the foreground) is Locke’s old return bullwheel. The other two are from Spruce, return stacked on top of the drive bullwheel. The return terminal mast is also on the ground (tipped on its side) next to the motor room. I’m not sure which lift the return terminal mast came from, but I would guess Locke. The “hanging” Borvig sheave assemblies of 4 sheaves in the far left of the first picture were defiantly from Locke (the only hanging assemblies on Spruce had 2 sheaves). The black paint confirms that they are from Locke’s top terminal (where else could they have come from). I also think the sheave assemblies stacked to the left of the motor room in the background are the Leitner depression sheaves from old Spruce, as they look much smaller than the standard Borvig sheaves used everywhere else on old Spruce. The drive terminal structure is stacked below the depression tower crossarm, which is from the former tower 10. I think the counterweight mast is on the ground below the depression tower crossarm but in front of the terminal structure. The grips are piled to the left of the depression crossarm. I count 8 crossarms and lifting frames to the right, and probably the same number of towers behind them. More Borvig sheaves are stacked between the towers and the terminal structures. Triple chairs are to the far right. For the most part, everything Lost Valley needs to assemble that lift tomorrow (in terms of lift components) is on site. I wonder if and when this lift is installed if Partek, which as a company is the biggest puzzle in the lift world today, will install the lift (old Spruce is a Borvig after all). Speaking of Partek, has anybody figured out what the deal with Partek is? I thought DoppelmayrCTEC acquired them in 2005. Just before that they announced they were working on developing a detachable system. Then there was nothing, which everyone would expect from a lift company that had been bought and discontinued. BUT, in 2009, Parteks started to appear again, and according to Peter’s installation charts, Partek has installed at least one new lift per year since then (except for 2011). I certainly haven’t figured them out yet. I believe that Partek is either owned by Doppelmayr and continues to produce more budget-friendly lifts or, they split up from Doppelmayr when D-CTEC became Doppelmayr and started using different, more expensive designs. I’ve asked Peter about that a few times and even he isn’t totally sure how that deal works. It’s so confusing. Last I heard Partek can’t actually make a 100% new lift. They all have to have some refurbished parts. The double chair they built at Mountain Creek in 2012 had a rebuilt gearbox and that was it. I don’t know if this is still true because Mount Peter claimed that the lift they put in last year was 100% new. I can’t really verify that by looking at the lift because they made a huge stink when I tried to take pictures when it was going in and I’ll never ski there again for that reason. what is the eglise 3 at YC? the 4 CLD-B that was planned has already been installed. is there another planned for this summer? The gondola extension is definitely happening. Another Eglise lift is apparently on the table but unconfirmed. i’ve heard rumors they are planning to move the lodge lift to eglise and replace it with a six pack but again have not seen anything official. Why would they do that? I don’t think capacity is a concern there. @Collin I ski at Big Sky alot, talk with the locals, YC has actually become crowded during peak times. having more skiers per Acre than Big sky over christmas, with lifts running at less than 900 PPH. its important to note each member can bring up to 10 guests, making the maximum number of people 5000 at any given time. So enough 1%ers decided that they were too good to ski with the riff raff (that’s already more well off that 90% of the population) that their “exclusive club” becomes more crowded per acre than the public ski area next door and had longer lines. Too funny!! Let’s be honest here, these guys are a whole lot more exclusive than the 1%. Eldora got a new dopplemeyer 6 back detachable this season. It was built in 2017. So with park city putting in a lift would it be an extension or would they remove and replace a lift with high meadows? Park City is removing the high meadows lift, and replacing it with a detachable quad. Hey Peter, it seems like someone’s filed to replace Chair 16 at Mammoth with a six-pack starting this July. Yet another potential late start project. Bretton Woods, Purgatory, Aspen Highlands and Vail seem to be in similar positions. Great find! Chair 6 at Horseshoe Resort near Barrie Ont is being replaced this summer of 2018. It is listed in the New Lifts Installation list on this website. I stand corrected. 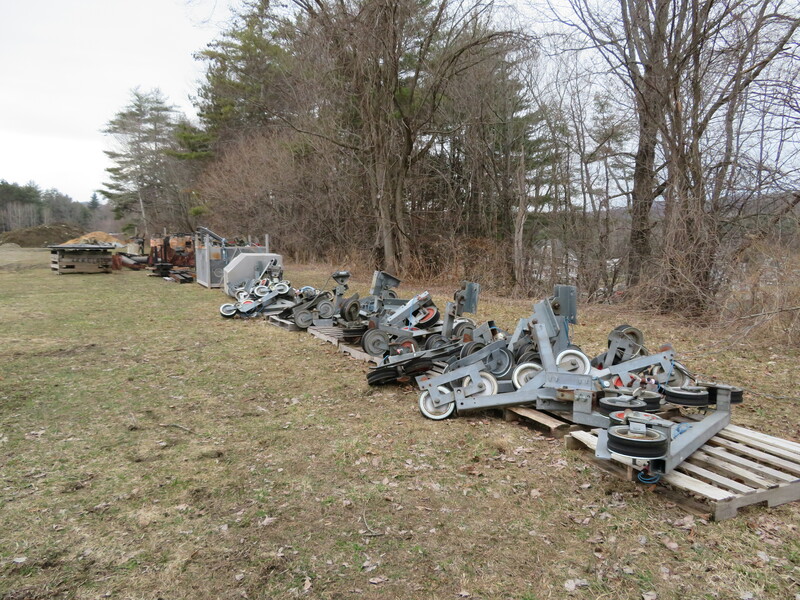 I know see the Horseshoe Chair 6 install (Horseshoe Valley Ski Resort, Barrie Ontario) has been removed from the new installs list of 2018. Maybe they instead grabbed the used Doppelmayr quad from Val Neigette, which Peter says was recently sold to an Ontario resort. Certainly the price was right on that one. Will wait and see. Horseshoe told to me they are considering replacement in the next few years but have not committed for 2018. -The SilverStar Gondola is now slated to open July 7th. -Aspen Highlands’ race lift is still waiting for Forest Service approval according to the project page. -Mammoth Chair 16 approval is currently pegged for June so could be a possibility. Though the webcam shows bike trays going on for summer ops. -I haven’t heard back from Woodward Park City. -Vail Game Creek should be approved soon and is likely to be a 2018 Doppelmayr six-pack. 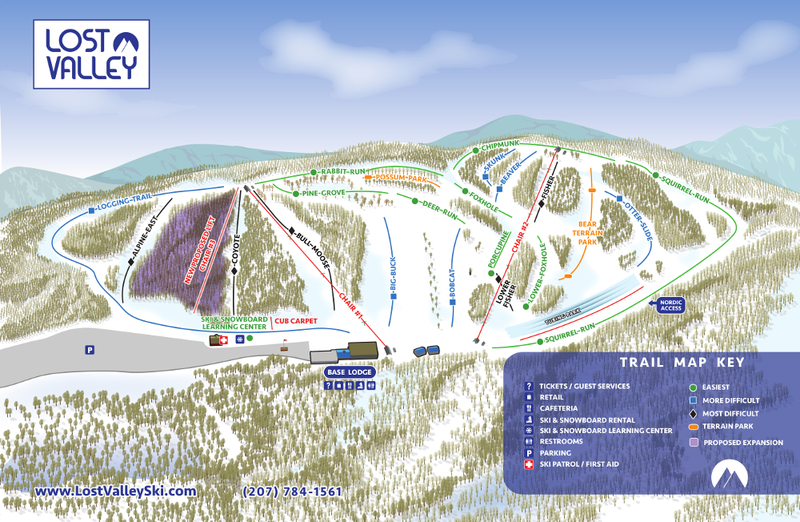 -Ascutney’s “new” T-Bar is in the parking lot but no sign of construction yet. -Red Mountain may be doing something. -Yellowstone Club could be adding additional lift(s) besides completing the Eglise Gondola. They were looking for a used Doppelmayr T-Bar. No shortage of places it could go. I’m pretty sure that White Wolf Ridge is slated to be a T-Bar. Hopefully Vail confirms the Game Creek project when it releases its third quarter results on June 7th, leaving Aspen Highlands, Purgatory and Mammoth the only remaining unknowns. 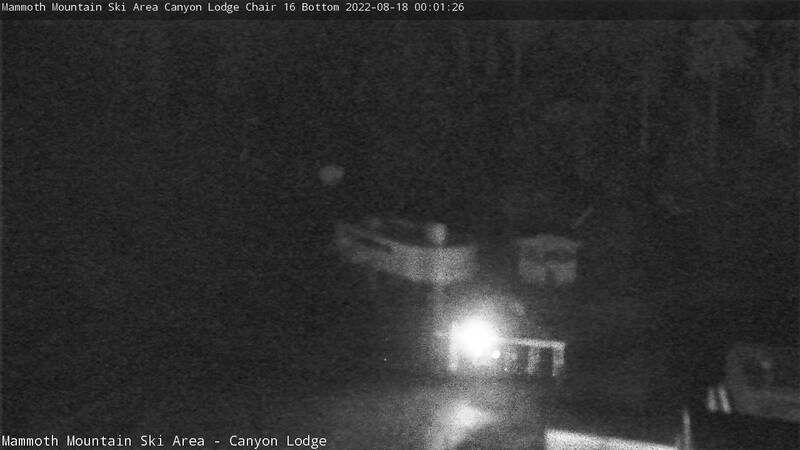 Vail is going with Doppelmayr for Game Creek? Not 100% but that is what I’m hearing. Were they not happy with LPA after the Sun Up project? They seem to be more-or-less rotating between Doppelmayr and LP with their lift projects over the last 8 years. They’ve gone LP for the last two lifts, so I’d guess it’s Doppelmayr time now. If it were a matter of satisfaction with one manufacturer over the other, they likely would have been more steady with manufacturer choice. Vail used Doppelmayr this season because they had a plethora of doppelmayr line equipment in storage from removed lifts that could be reused on various projects. The reuse of just the sheaves alone can save a significant amount of upfront cost even if you have to rebuild them in a few years as the rebuild hits a different budget. In the end the contract will go to who can provide what Vail wants at they are willing to spend. Mammoth got back to me – the 16 replacement won’t happen this fall but they are shooting for 2019. With Horseshoe postponing their plans to replace lift 6, is there a possibility of there being a(ny) new lift(s) in ontario for 2018-19? Or will there be nothing until next season. The one wildcard unknown in Ontario is where is the used Doppelmayr quad from Val Neigette, Quebec going. Val Neigette’s quad was sold to an Ontario resort and was removed this past spring. Val Neigette’s website says it was sold to an Ontario ski hill. Will we see it installed this summer, or is it in storage for a year and it will appear somewhere next season (summer / fall of 2019) ? Horseshoe Resort has officially announced their new Chair 6 replacement, a Leitner-Poma fixed-grip Quad will be ready for Dec. 2019. Nice! Are they planning to sell the current chair six to another hill when it gets removed next summer? Where do you see Leitner-Poma as opposed to Skytrac? I highly doubt Chair 6 will go to another resort once its retired at the end of the 2018/19 season. It’s an old Poma that was running during both the winter and summer months (for mtn biking/hiking) up until a few years ago. I for one will be glad to see it replaced. Apparently, the skyride at the western idaho state fair is (possibly) a borvig from the looks of it. Borvig chairs, Hall crossarms/bullwheels, SkyTrans stations, Skytrac controls. A true frankenlift! Came from the Lowry Park Zoo in Florida. What is Poma’s DirectDrive? Leitner-Poma’s website talks about its benefits but doesn’t explain exactly what it is/does. And does Dopplemayer have a competing technology? (D-Line just seems to be an enhanced station design/technology). Leitner’s Direct Drive uses a large, low rpm synchronous electric motor whose output shaft is connected to the drive bullwheel to turn the lift. There is no gearbox used. Last I heard Doppelmayr had something SIMILAR, but it still uses a planetary gear reducer at the bullwheel so it is not truly a Direct Drive. You can search Direct Drive at http://www.leitner-ropeways.com for more detailed information. Makes sense, thanks Mike ! Doppelmayr has a direct comparable technology, Doppelmayr Direct Drive (DDD), as well as the drive you described, which is called their Sector Drive. Both are on their website under products, custom drive solutions. Cool stuff! Mount St Louis-Moonstone (Ontario, Canada) has removed the Venture Quad this past summer after sitting idle for most of the past few seasons. The six-pack detachables on both sides of it rendered it redundant. In its place, the hill has been re-graded and raised a further 50ft in vertical. I have no idea if it is being moved to another resort- I would assume it would be a good lift for a smaller resort as it has low run time. Where could it possibly go to? Small bit about the Disney Skyliner in BI.